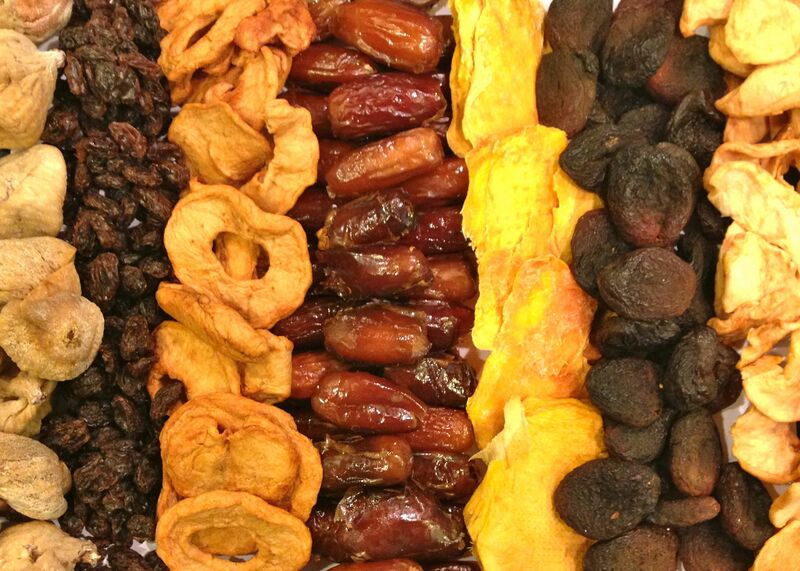 There are so many types of dried fruit in the supermarket, how do I decide which one to buy? When buying dried fruit I recommend avoiding: sugar/sweeteners, sulfur dioxide, synthetic pesticides and artificial colors. 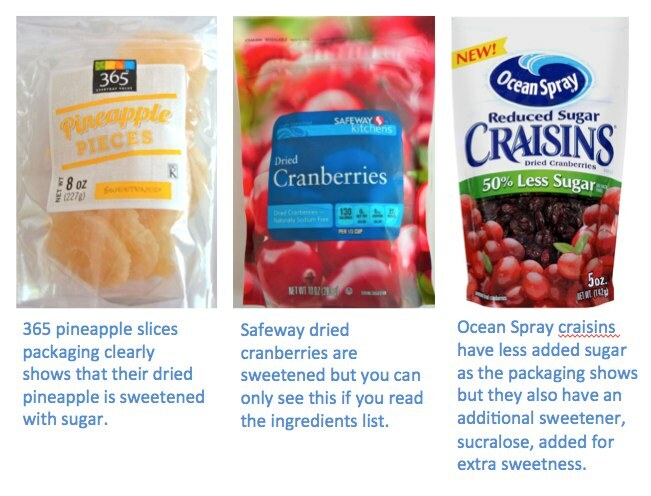 1) Sugar/sweeteners – many manufacturers add sugar, artificial sweeteners or fruit juices to their dried fruit to make it taste sweeter. I recommend avoiding these sweeteners because they don’t contain any nutritional value and only add calories. Sometimes the front of the packaging clearly states that the dried fruit has been sweetened. Dried pineapple, banana, cranberries or blueberries are a good example of this. However if you want to be sure you are avoiding the added sugar/sweeteners you will need to check the ingredients list, as the use of sugar/sweeteners does not always appear on the front of the packaging. Tags: artificial colors, cranberries, dried banana, dried fruit, dried mango, glycemic index, organic, pesticides, pre-soaked dried fruit, raisins, sugar/sweeteners, sulfur dioxide | Permalink. Is snacking on dried fruit healthy? If you eat it in small portions, it is. Tags: dried fruit, essential nutrients, fresh fruit, fruit juices, Health, Snack, Sugar, sweeteners, teeth health, vitamins | Permalink. 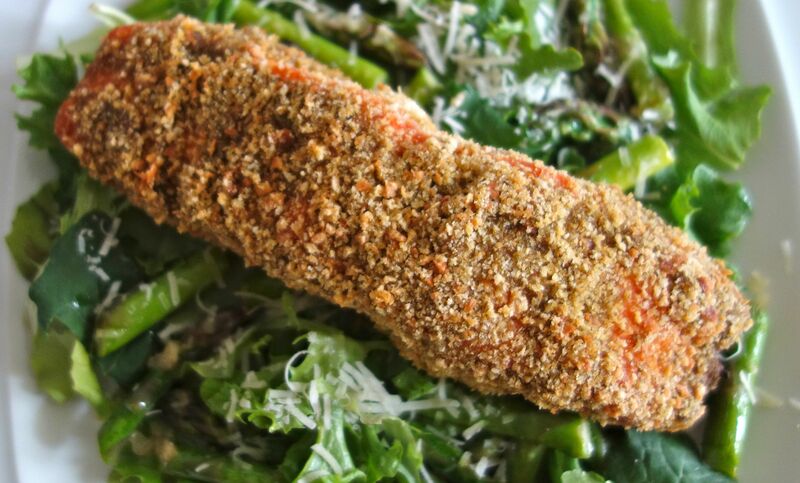 Tags: asparagus, kale, pesto, pesto crusted salmon, recipe, salmon | Permalink. 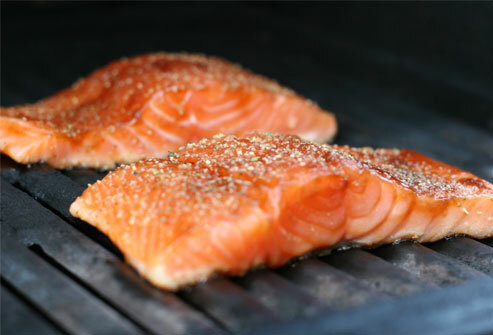 Why is wild caught salmon healthier than farmed salmon? Tags: chum salmon, Dieldren, Dioxins, farmed salmon, Fish, PCBs, salmon, Toxaphene, wild caught salmon | Permalink. These are so easy to make. 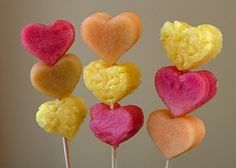 All you need is fruit, a heart shaped cookie cutter and some kebab sticks. They make a nice change to the everyday fruit in a bowl. Tags: brownie pizza, chocolate strawberry cups, deserts, Fruit, Fruit hearts, fun, healthy, milk hearts, sweet, tomato hearts, Valentine's day, vegetable bouquet, vegetables | Permalink. Want to know which fruit or veg has the most pesticides? Tags: clean 15, dirty dozen, Environmental Working Group, EWG, Fruit, organic, veg, vegetables | Permalink. Tags: blue zones, Costa Rica, genes, Italy, Japan, life expectancy, life span, living to 100+, Loma Linda, Nicoya, Okinawa, Sardinia, USA | Permalink.